GD Vajra's Langhe Bianco. Another Reason to Love Riesling. I’ve tried many Japanese-food-and-wine pairings before, generally leaning to well-structured sparklers… but this simple Ciro Rosato from Azienda Agricola Scala was truly perfect. There is a salinity to Calabrian wines paired with a real stony minerality and earthiness that I just love with the sweet-salty tones of Japanese flavors. Scala’s version is bright and packed with fresh-fruit aromas and an acidity that just begs for crunchy salty foods. 100% Gaglioppo grapes… 100% Calabria! Braised, marinated sea snails- sweet soy and salty seawater. Gaglioppo Rosato refreshes after smoky dashi broth and clams. Simply-seasoned, tempura-battered crab legs beg for Galgioppo’s acidity. Gaglioppo is really the perfect grape for a Rosato-style wine. It retains all the structure of a red wine, but lifts the flavors into something lighters, more flirty and full of crushed strawberries and sunshine. 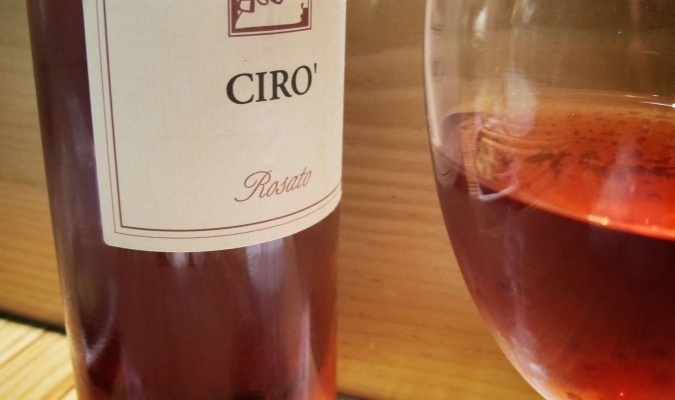 As Shelley Lindgren (of A16 and SPQR) has said, “Gaglioppo is the secret grape for Rosato”. Yoshi-San and I totally agree. Everything looks absolutely delicious. Worth a detour from my normal vegan ways. If Yoshi-San can’t convince you to try a little fish in your diet, I don’t know who would! Looks tasty, Joanie. I’ve found some Italian whites can go well with many Japanese fish, shellfish & tempura dishes — salty Vermentino and Pigato wines from Liguria and Sardegna are great candidates. Great to see someone promote the idea! I think this is what’s really awesome about Italy- you can find wines from Italia that can pair well with just about any type of food! Grazie! Yes, Dad… it WAS ethereal!